A new study shows that people who focus on significantly lowering their blood pressure could help protect against early stages of Dementia. The study looked at over 9,000 people that were 50 years or older and had them lower their blood pressure to 120. 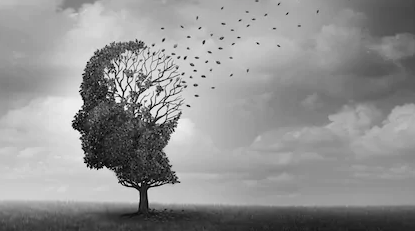 The researchers found that they were 19% less likely to develop mild or early stages of memory loss or cognitive decline that generally lead to Alzheimer’s Disease. The study was called Systolic Blood Pressure Intervention trial or SPRINT by the Journal of the American Medical Association. Benefits on lowering your blood pressure have been around for quite some time now. Lowering blood pressure can help people who are at high risk for heart disease, but the SPRINT study is the first intervention that has shown that it can help with risks involved with brain health. Maria C. Carrillo, Cheif science offer of the Alzheimer’s Association says that this intervention, “offers genuine, concrete hope.” This hope is for anyone that could be at risk for a cognitive decline or at risk for dementia. “The Alzheimer’s Association is committed to getting the answers about treating and preventing Alzheimer’s and other dementias,” said Carrillo. Having high blood pressure is one of the leading risk factors for heart disease in the United States. Blood pressure guidelines last year were even changed from 140 to 130. High blood pressure can also put you at high risk for having a stroke and kidney failure. If your blood pressure is over 130 you should talk to your doctor about what ways they can help lower your blood pressure. With Alzheimer’s disease being the sixth leading cause of death in the United States almost 6 million Americans have been diagnosed with this disease. It’s expected to rise to nearly 14 million people by 2050 by experts at the Alzheimer’s association. As of now there is no cure for Alzheimer’s or Dementia but making sure to take steps towards fighting against the disease at early stages could help lower your overall risk at developing these diseases.